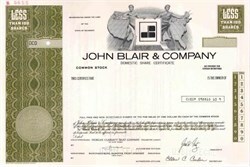 Beautifully engraved SPECIMEN certificate from the John Blair & Company dated 1978. This historic document was printed by the Security-Columbian Banknote Company and has an ornate border around it with a vignette of allegorical men with the company logo. This item has the printed signatures of the Company’s President and Secretary and is over 24 years old. John Blair & Company, was a nationwide sales representative of radio and television stations throughout the country that grew into the largest company of its kind with 12 offices in major cities. 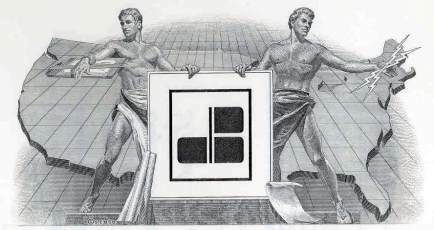 The company also owned television stations, printing companies and the largest direct mail company in the country.